I'm really not seeing Toronto get too far here. And I was wrong! Still don't think they will win, but they sure gave the Cavs a run tonght! They shot well, Cav shot badly. It happens. Why wasn't Kevin Love in during critical moments? Weird. Doubt TOR can do it again. But the longer this series extends the more tired Lebron will be in the finals. 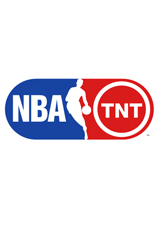 Also just to be a bit pedantic, as much as I wish the east were on TNT, the eastern playoffs and finals are on the Worldwide Leader. I don't know if that's important for book keeping or whatever, but preferably we would keep it this way as papercut to the ESPN brand. Wow! 2-2 Split. Crazy. I can't get my head around this team, are they just super at home and slightly above mediocre on the road? They had a better record than OKC, but man when they struggle, they struggle. These conference finals are pretty dramatic after some snoozey first two rounds (last years opening rounds were nuts, but settled in quickly). Go Raps! Love seeing Demarre rock it. Also, Biyombo seems to have caught a case of defensive monsterism. Or maybe just leveled up his earlier case. One thing I noticed watching the postgame presser that I hadn't given much thought too: these are really Kyrie and Loves first intense playoff games. Like the earlier one were 'normal' playoff intensity, but there wasn't really any pressure ever on the Cavs to win a particular game - just the series overall. Now with this series getting tied, a more active hostile crowd, and increased pressure on them it's probably somewhat of a newer experience. Good series Toronto, impressed with your fans. Am interested to see who Masai can bring in to take some of the load off DDR and Lowry. It seems like the game the Raps won were when their all stars were hitting hard shots -- they never had anything easy offensively. Don't know if thats lack of talent on the offensive side, or a coach that prefers isos and relatively little ball movement? Either way, getting buckets like that just seems exhausting.